I found EM2WL in January 2014 and it was an answer to my prayers. EM2WL has forever changed my life, health, mind, and my relationship with food and myself. I am still certainly a work in progress, but each day I am closer to reaching my goals. I have lost 40 pounds over the past 7 months, and I credit the last 30 pounds to EM2WL. But more than weight loss, I have gained strength, confidence and a drive to move forward with my life. A little about me…I am a wife of 10 years (to an incredible husband who has loved me at every size) and currently a stay-home mom to my super active 2 year old boy. I struggled with the cycle of under eating/overeating for as long as I can remember. I was a heavy child and I became aware of diets (food restriction) and followed them from an early age. At age 7, my mom began taking me to a nutritionist weekly. I don’t remember it helping me as I was so young, but I do know that it communicated to me that I had a problem with my weight. My mom, having her own weight issues, was only trying to help me while I was young. At age 11, I remember being weighed at the doctor’s office and I weighed 133 pounds. I asked my mom if I weighed too much and I remember her carefully saying, “You could work on losing a little”. That day began a lifelong struggle of severe dieting and what I now recognize as disordered eating. At age 11, I put myself on a diet and lost 17 pounds. Of course I gained it right back and more as I grew into my teenage years. Sports and activities filled my high school and college years, but the pressure to weigh less fueled my unhealthy eating cycles. I weighed anywhere from 160-180 and would yo-yo up and down easily. I would severely restrict calories for a few months and then massively binge…over and over and over…all on top of extreme exercise. If I managed to lose any weight, I would regain it all back through the binging…plus more. I tried often to purge, but thankfully, my body would not cooperate. 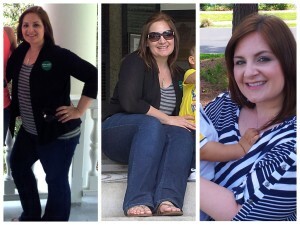 These unhealthy cycles continued through my 20’s and early 30’s, throughout my married years, and through my first pregnancy. My family went through a series of tragic events and multiple relocations and my weight began quickly increasing from the 170’s upward. In 2013, one year after my son was born, I reached my highest weight of 207 pounds and a size 18 at only 5’3. I had pretty much lost sight of myself and any goals I had once had. I was told I was an emotional eater. I hid stashes of food and sweets in my home and at work. I ate if I was happy and when I was sad. My biggest fear was that I would continue to live the rest of my life in that misery and set a negative example for my children. I knew low calorie and fad diets did not work, but I returned to them because I knew nothing different. I blamed my lack of success on lack of discipline, willpower, and emotional eating. I always felt like a quitter because I could not stick to anything. 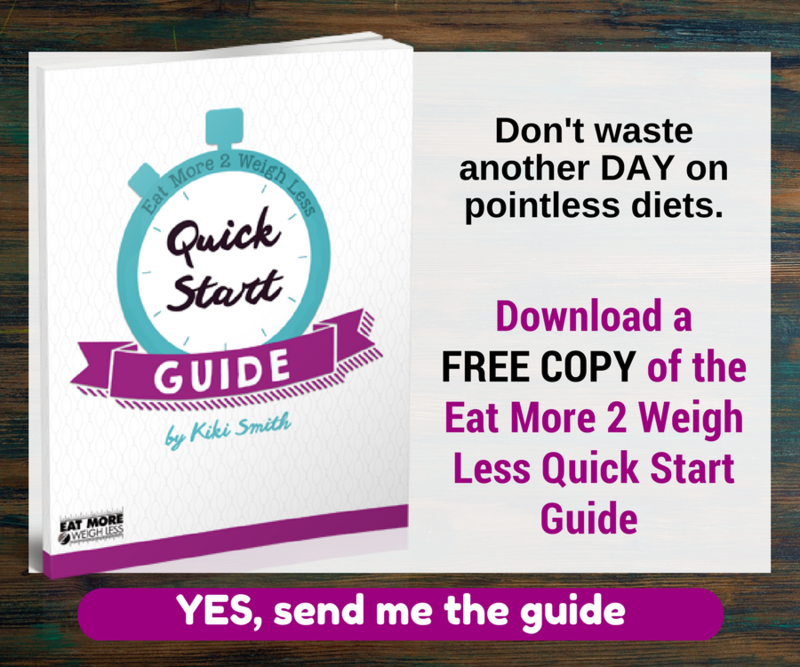 I had tried everything over the years – Weight Watchers, Medifast, Slimfast, Liquid Amino Diet, Six Week Body Makeover, Nutrisystem, low calorie, juicing, fasting, and starving. I would lose weight at first and then stall for weeks before giving up and overeating to compensate for the low calories and then gain everything back and more. Weight Watchers gave me partial success, but again I stalled after the first few months and couldn't understand why since I was working out every day and not consuming any extra points or earned exercise points. I thought the weight should be melting off, but it wasn't, and many weeks I actually gained. When I later did the calculations, I figured I was only eating 1200 calories on Weight Watchers. At one time I even trained for a half marathon and was running 7 miles a day. Little did I know that eating 1200 calories and running 7 miles daily would stall my weight loss for weeks. I felt defeated but I couldn’t give up. I knew there had to be a different way to approach weight loss and I wanted to find it. 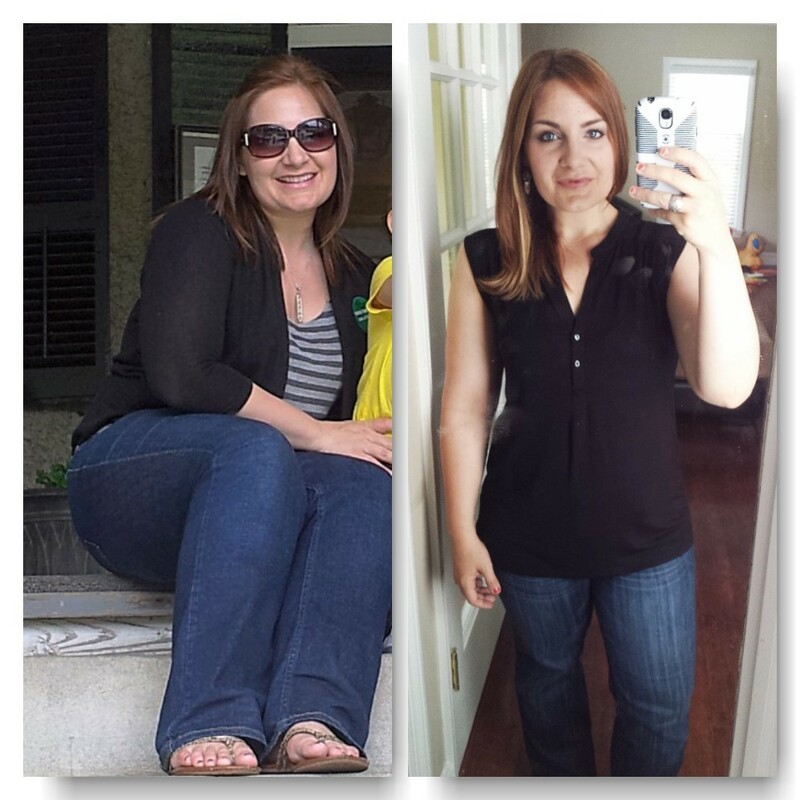 I started reading and researching about a different type of weight loss strategy…one that was maintainable. I committed to being happy with a .5 or 1 pound loss a week instead of trying/expecting to lose 3 pounds every week. I joined MFP in January (user name Jennbecca33) and started seeing people talk about how under eating can actually hinder and keep you from losing weight. During this time, I found the EM2WL group and I have not looked back! Something finally made sense and clicked for me. The wonderful ladies in this group have taught me how to eat properly and eat ENOUGH (way more than I thought I could) so that my body could lose weight more easily. I learned that the low calorie diets in conjunction with working out simply did not give my body enough to lose weight properly, hence the weight loss stalling. Since then, I've committed to eating more to weigh less. I actually found that I did not need to do a reset, surprisingly. As I started slowly increasing my calories, my weight immediately decreased by a couple of pounds. I couldn’t believe it. I then increased my calories a little more, and again, I dropped a couple more pounds. I kept increasing until I found my maintenance level which is around 2100-2300. This concept of eating more, or at a slight deficit, went against everything I had ever been taught about dieting. I now happily eat between 1800-2000 calories daily (-15% TDEE) to lose weight and I do all my workouts from home. When consistent, I average between .5- 1 pound loss per week. I am now incorporating heavier weight training (which I love!) to help reshape my body. I usually work out 4 times a week for about 30 minutes each – 2 or 3 weight lifting sessions and 1-2 workouts on the elliptical. My only permanent success has come from following the EM2WL lifestyle, and the best part is, I'm able to keep going because I'm giving my body enough food so that I'm not hungry, worn out, and irritable all the time. Since I have started allowing myself to eat more, I have not had even one binging episode, or even the desire to binge! Have I overeaten at times? Sure. But even then, I’m able to work it into my calories. I've come to terms with losing weight in a responsible and healthy manner and I am so motivated to know that I now have the proper tools to reach my goal. 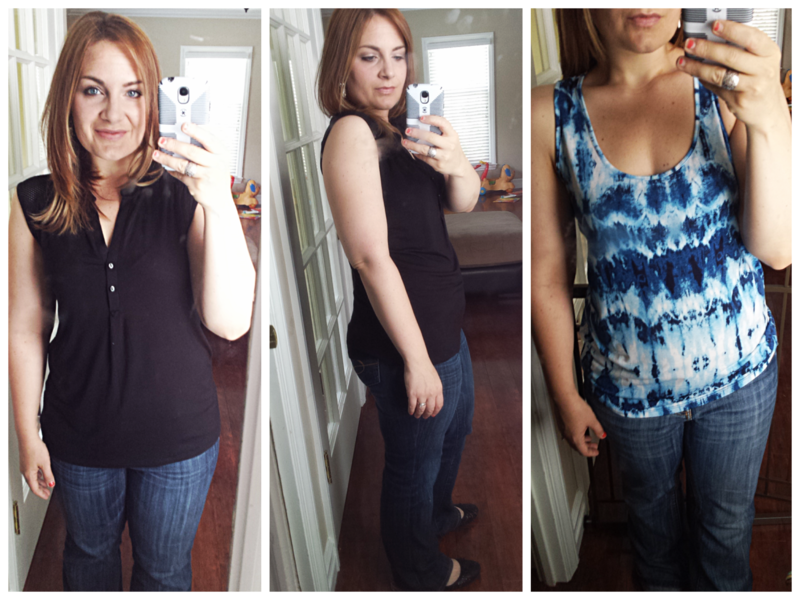 When I started EM2WL in January 2014, I weighed 195 and was a size 16. I had lost about 10 pounds on my own at that point. I have lost the last 30 pounds with EM2WL, for a total of 40 pounds. I still currently weigh 165 pounds and at 5’3 I wear between a size 8 and 10. I don’t really have a “goal” weight in mind anymore and I’m not stressing about it. When I get there, I will know. I still have quite a bit of fat on certain body parts that I want to lose. My hips and legs hold most of my weight, but slowly, even my legs are shaping up. I know I will always have thicker legs, and I’m ok with that. I look better now at 165 than I did at 145 (a weight I never maintained after 3 months on only 800 calories). EM2WL works. It will work for anyone. Eat at a smaller deficit so that it’s maintainable and so that you can keep going! Yes, it’s slower paced weight loss. But in the long run, you are able to keep it off. Keep muscle, build muscle! The biggest change for me though, has been the mental shift about food. I no longer hate food. I really love food. I am not on a diet. Food is ok to eat and I do not feel guilty for indulging in moderation! There is nothing that I cut out of my diet. I love eating with my family and not having to cook separate meals every night. No more missed birthday dinners. I enjoy eating out and making healthy food choices. I will never again be tempted by low calorie dieting or a fad gimmick diet. EM2WL has given me freedom and it has truly helped me to take back my life. Thank you to all the EM2WL moderators and members who have been so supportive and helped me and continue to help me through this journey. I have learned so much from you. You truly were an answer to prayer during one of the darkest and heaviest times in my life. I pray my story may help and encourage others now to trust this process as well. I look forward to posting an update when I reach my end goal! Ready to begin your own Journey? Start here. Update: The Long Haul "...so far from who I used to be..."
The Long Haul update - Bulk completed! Wow! Thank you for sharing your story. It is really inspiring to me because there are some similarities between your starting weight & mine now and because you have changed so much since January this year. The weight loss may have seemed slow to you as it was happening, but the visual change in you is amazing. I know I’ve been spinning my wheels all this year, since gaining about 40lbs in six months last winter when I first started eating more to try to get my health back, but ended up binging and stopping exercising. I think I needed that time, but I’ve found it difficult to get back into exercising regularly, and have been feeling discouraged lately. Seeing the changes you have made in a few months has encouraged me to believe it is possible to lose the fat and build muscle and health. I am currently about 204lbs and a size 16, 5′ 7″. If I could get back to a size 12 (or dare I say size 10 – my ‘normal’ size through my 20s) in a year or less and feel strong and healthy that would be wonderful. I don’t care about what weight I would end up at, other than I’d want it to be as high as possible for me at that size, because that would mean a high lbm. Also, I don’t really care if I end up a size 10 or 12, as long as I am healthy and have enough energy. Sorry to wrote so much about me and my desires! (I need to work on making them achievable goals). I really wanted to congratulate you on your transformation, and to thank you for inspiring me to believe it is possible for me too. I’m really happy for you. Thank you for sharing your story and inspiring so many. amazing story really impressive and well done – I have seen you around MFP so good to see your success story and what a success!! Thank you, Sarah! I appreciate this!